Welcome to Saint Lucy's online! Empowered by the Holy Spirit and rich in tradition, St. Lucy�s Parish proclaims, lives, and celebrates the Good News of Jesus Christ. As disciples of Jesus Christ, we live our Catholic Faith by celebrating in our midst the presence of Jesus Christ and uniting with Him in the Holy Sacrifice of the Mass and the sacraments. Through our baptismal covenant we embrace our mission of discipleship and evangelization. We work together to build the Kingdom of God by living the gospel and in service to God and neighbor. Click here to learn about our patroness, Saint Lucy. The family of St. Lucy Parish welcomes you to our web site. We are glad you have joined us today. The story of our parish traces it roots back to the early 1870’s, the beginning days of the coal industry in Scranton, Pennsylvania. 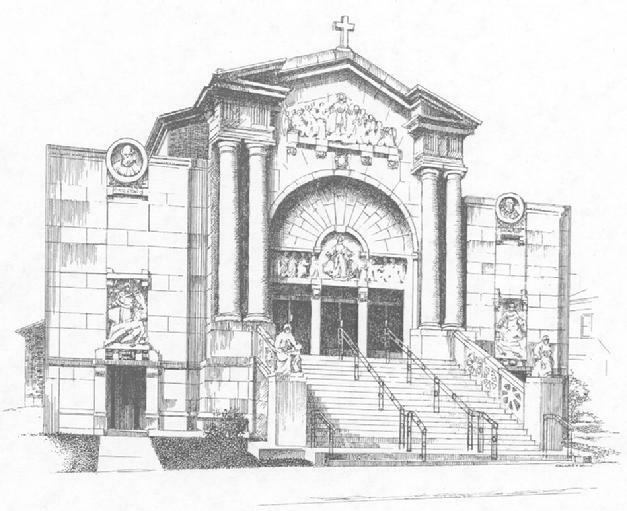 However, it would not be until 1899 that St. Lucy Parish was officially established and became the Mother Italian Church of the Diocese of Scranton. From St. Lucy, priests would travel throughout the diocese to organize and establish Italian parishes. Our story is first and foremost the story of God's love for our founding members, for their successors, and for the generations of faithful people that have shaped us to be a people of faith and a caring Christian community. We also proudly note that St. Frances Xavier Cabrini, the first American saint, helped to found our parish when she visited the young Italian community six times beginning in 1899. Come and join us as we journey toward the "courts of the Lord." The material on this website cannot be used for commercial reason without written permission of Rev. Sam J. Ferretti. When citing material from this website for non-commercial purposes you must acknowledge the source: St. Lucy's Church, Scranton, PA at www.stlucy-church.org.